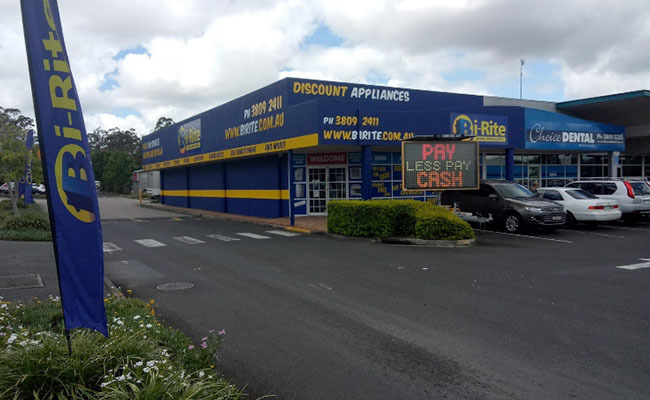 Browns Plains Bi-Rite Home Appliances is family owned and has operated In Browns Plains for over 15 years. It is your one stop shop for your important purchases. We offer all the major brands as well as a delivery and installation service. We quote and arrange installation for air-conditioning, wall ovens, cook tops, rangehoods, dishwashers, fridges, washers, and dryers. You can walk in or give us call and make an appointment for us to visit you.